Waterway in the Yukon-Charley Rivers National Preserve. USFWS photo. The U.S. Supreme Court decided today to hear a case concerning the National Park Service’s authority to regulate boating activities on rivers in national park boundaries in Alaska. The lawsuit centers on John Sturgeon’s desire to use his hovercraft within a national preserve, despite a NPS prohibition on hovercraft use within park boundaries. Rangers informed him in 2007 that using the hovercraft in Yukon-Charley Rivers National Preserve was illegal. 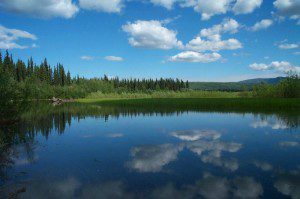 In 2011, he filed a lawsuit with support from the State of Alaska claiming that a provision of the Alaska National Interest Lands Conservation Act stripped the NPS of the power to regulate navigable waters within Alaska’s national parks. The Ninth Circuit disagreed and upheld NPS authority. The Supreme Court will now hear the case. 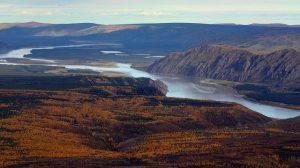 The Yukon River in Yukon-Charlie National Preserve. NPS photo by Ken Hill. The Ninth Circuit originally upheld NPS authority in 2014. Sturgeon appealed to the Supreme Court, which remanded the question back to the Ninth Circuit in 2016 to clarify its reasoning. The Ninth Court again upheld NPS authority in 2017, and Sturgeon appealed a second time. Trustees for Alaska, which represents thirteen conservation groups as “friends of the court” in the case, filed an amicus brief with the Ninth Circuit in 2011 in support of NPS efforts to enforce safety and other park regulations on waters within park boundaries. Alaskans can use motorboats, snow machines and airplanes to access hunting in national preserves, but the use of hovercraft has long been prohibited because of the noise and the vehicle’s ability to move over gravel and tundra, and onto wetlands, causing significant damage.